Are you looking for a grounds maintenance contractor in Basingstoke? If you're someone who loves spending time enjoying your grounds, then you'll understand just how much maintenance is required to keep it in shape. From fallen leaves and litter making its way on the green, to digging up endless weeds, it's a tiring and exhausting job. Instead of spending many hours trying to keep your grounds looking in ship shape, investing in a helping hand can make all the difference. For a grounds maintenance service that you can trust in, we are here to help. 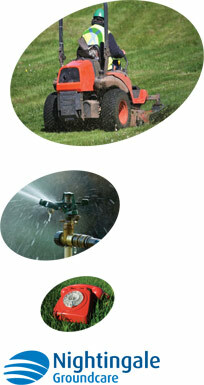 Here at Nightingale Ground Care, we are here to take care of your ground maintenance requirements. Whether you require help with pest control, litter collection, grass cutting or hedge cutting, we will be able to bring your grounds back to life in no time. We are also able to assist with top soiling, leaf collection and weed control. To find out more, speak to the team today on 01794 323 606 and we will be happy to discuss your requirements in more detail. We look forward to hearing from you.